Need a last minute hostess gift idea for the holidays? 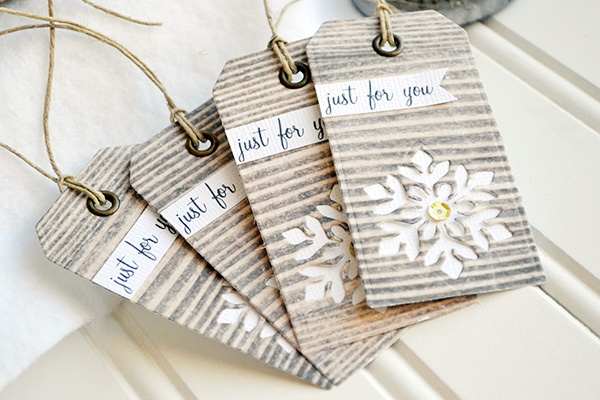 How about a quick and easy set of gift tags in a handmade box. 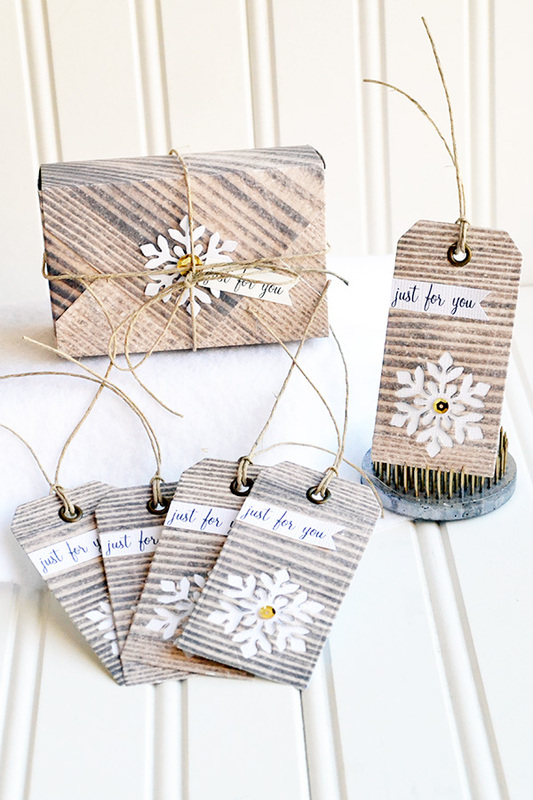 I created these snowflake gift tags using some of my favorite dies and my Evolution Advanced, then I made a cute little matching box to wrap them in with my Envelope Punch Board. First I die cut five tags using the Tag It Kit. Then I used one of the single dies from the Snowflake Punches Dies to cut out a snowflake shape from the bottom of the tag and backed it with white cardstock. Then I added a gold sequin, a simple sentiment, an eyelet to the top with my Crop-A-Dile, and I tied some twine through it to finish the tags. Next I used my Envelope Punch Board to create a little gift box to wrap the tags. My tags are about 1 3/4 "x 3 1/4", so I created a 2 1/2" x 3 3/4" box. 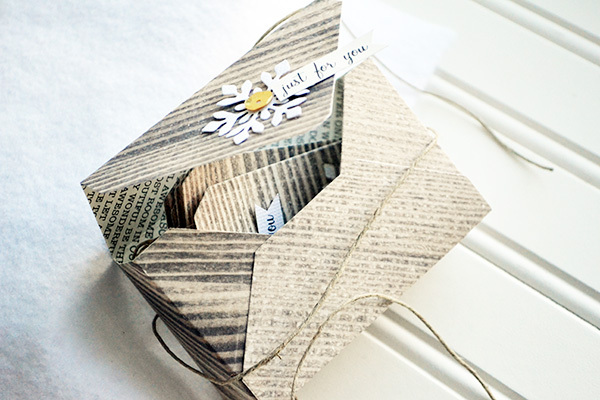 For a full tutorial on how to use the Envelope Punch Board to make this cute little gift box, visit the We R Memory Keepers blog HERE. This little set makes a great hostess gift, a holiday gift for teachers, or stocking stuffers for your crafty friends! This is very cute! I would love to have an envelope board, it sounds amazing.